The literary output of Juan Rulfo, the highly esteemed Mexican novelist, short story writer and photographer, adds up to just 300 pages and yet he has been a. major influence on Spanish American writing and on the development of magical realism in fiction worldwide. Gabriel Garcia Marquez cites Pedro Pdramo as a masterpiece which influenced his novel One Hundred Years of Solitude. Rulfo's work was considered revolutionary in the Mexican canon, writing as he did with confused chronology, short sentences, a confection of fantasy and reality; and non-judgmental characterizations. The main character, Juan Preciado, returns to his mother's natal village Comala in search of the life story of his lost father the eponymous Pedro Páramo. He finds the village peopled only by ghosts, but they seem real to him. Through the people he meets he hears that his father ruined. the village and through his actions killed it and all its inhabitants. Gradually, we came to understand that Juan is also a ghost. Rulfo blends Mexican legend with his own experimental writing techniques, and adds a dash of dark humour to explore the difficulties of the father-son relationship and the importance of individual as well as national history. A fascinating work, in which the modern reader will feel very much at home. 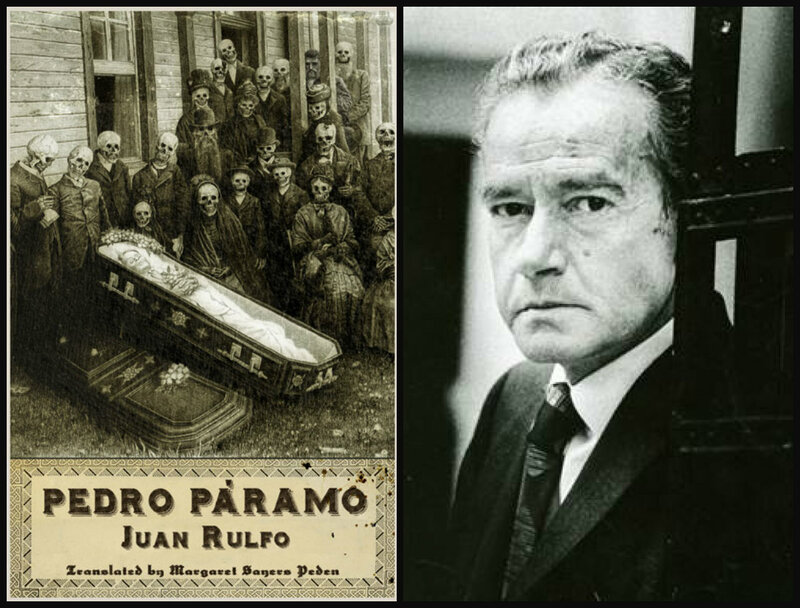 One of the most esteemed authors from Spanish America, Juan Rulfo was a Mexican novelist, short story writer and also a photographer. He is acknowledged mainly for two books. One of which is El llano en llamas (1953), a collection of short stories, 15 of these stories have been translated into English and appeared in The Burning Plain and Other Stories. The stories centered on life in rural Mexico around the time of the Mexican Revolution and the Cristero War. Among the best-known stories are "¡Diles que no me maten!" ("Tell Them Not To Kill Me! "), a story about an old man, set to be executed, who is captured by order of a colonel, who happens to be the son of a man whom the condemned man had killed about forty years ago; and "No oyes ladrar los perros" ("You Don't Hear the Dogs Barking"), about a man carrying his estranged, adult, wounded son on his back to find a doctor. The second book is the novel, Pedro Páramo (1955), after which Rulfo did not write another novel. The book has been translated into more than 30 languages, and the English version has sold more than a million copies in the United States.His photography works are archived at the Juan Rulfo Foundation which bears more than 6000 negatives of his photographs.